After finishing a very long remodeling project, I had the opportunity to take a road trip to Colorado, Utah and Arizona. There are so many things to see and do in the Four Corners region of the United States, it was tough choosing where to stop and what to photograph. 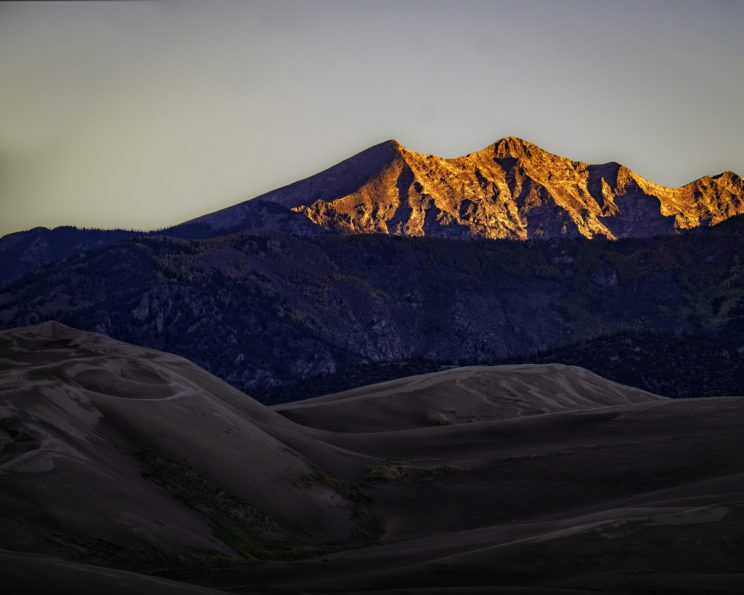 Great Sand Dunes NP and the Sangre De Christo Mountains at sunrise. My first stop was Great Sand Dunes National Park in southern Colorado. Of course the expansive dunes are the big draw, but the park also features grasslands, wetlands, conifer and aspen forests, alpine lakes, and tundra. 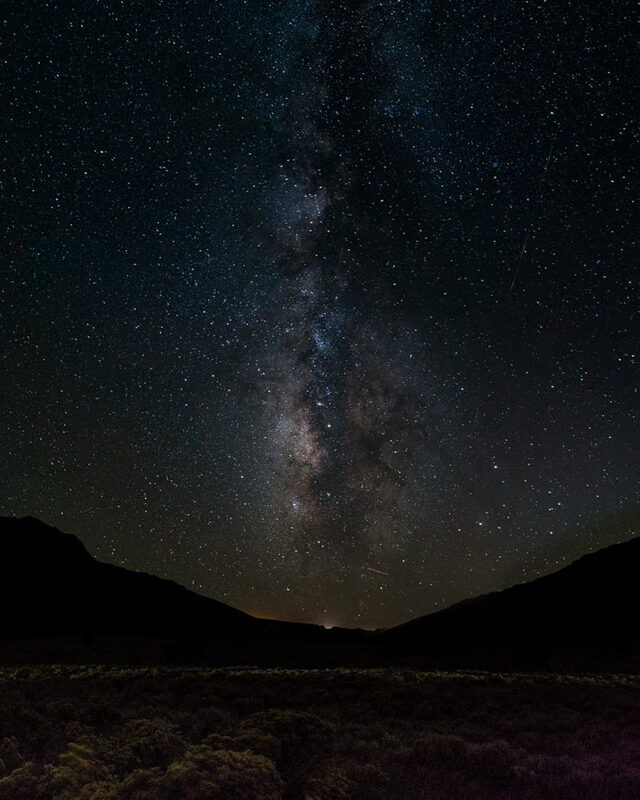 It also has some of the darkest night skies you can find in the continental United States. I timed my arrival to take advantage of a moonless night hoping to get some great shots of the Milky Way from the dunes. Unfortunately, September is not the ideal time to try astrophotography in the dunes. The direction of the Milky Way and the direction of the fierce winds that pummel the dunes did not work well together. There was no spot I could find in the dunes where I’d be out of the wind and still be able to see the center of the galaxy. Fortunately just standing in one of the campground parking lots gives you a pretty awesome view of the incredibly dark sky. Just outside of the park is a rocky dirt road that leads up to Zapata Falls. The view from the parking lot alone is worth the trip. The views of Great Sand Dunes are amazing. The waterfall is an unusual one. It’s a short half-mile hike to a stopping point by the creek. From there you walk in the creek a couple hundred yards to where the falls plummets through a narrow break in the rock and into a small cave. The cave is narrow and dog legged. It was so cramped and full of mist that I had a hard time getting a decent shot of the whole waterfall. I tried a rain cover for the camera, but the lens filter was soaked within seconds. So I just took a couple quick shots with my cell phone then retreated back downstream to get some shots of the creek. 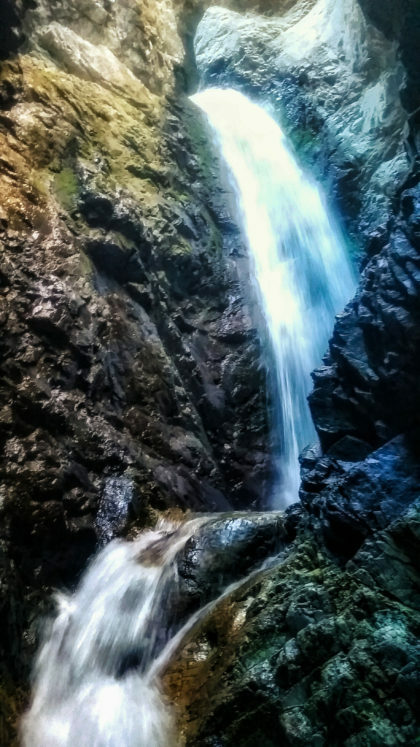 The waterfall is fed by a melting glacier and even in the usually dry autumn it had a good, strong flow. The shot below captures some of the beautiful color of the gorge walls. On the left is the small entrance to the cave. Next on my list was a place I’ve passed a few times but never visited – Canyons Of The Ancients National Monument in the south-west corner of Colorado. 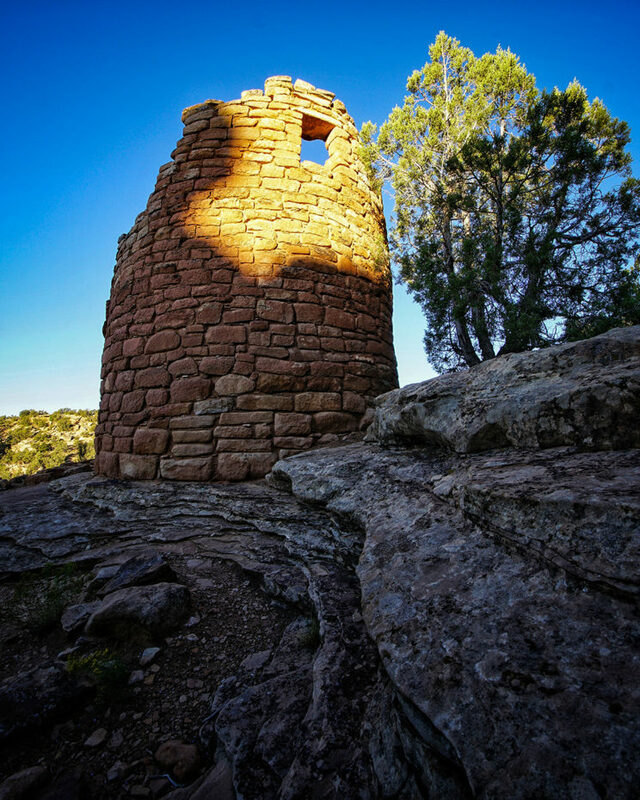 It’s not far from Mesa Verde and features the ruins of Ancient Puebloan people. Unlike Mesa Verde it’s a free open air museum. Some of the ruins are mapped, but most of them are not. You explore the canyons and mesas and see what you can find. I could have easily spent an entire week here. The area also has some very dark skies and I arrived right around the new moon eager to capture the Milky Way with some of the 800 year old ruins. 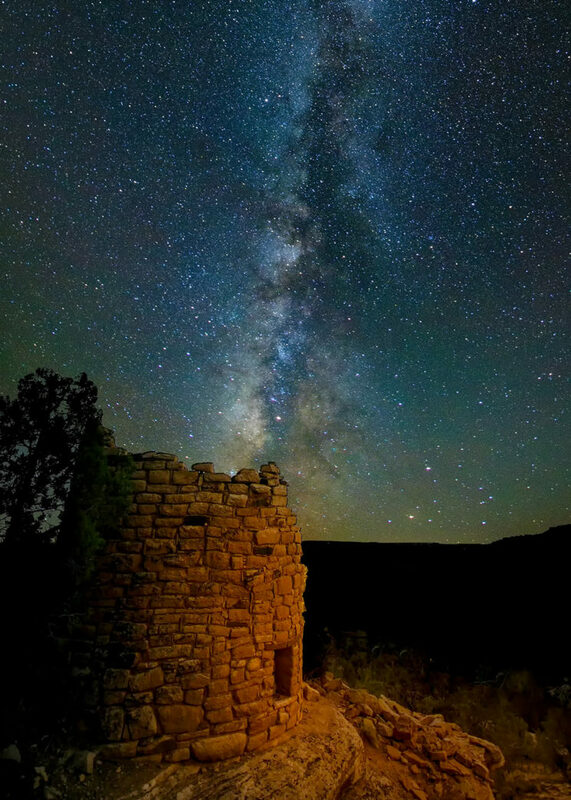 Below is a shot of the stars rising behind the Painted Hand Tower ruins. There were several other smaller ruins in the same area as Painted Hand Tower, but none were as large or as complete. I went back to the tower in the morning to get a sunrise shot from the other side. From Canyons of The Ancients I drove to Canyonlands National Park Needles District hoping to get some sunset, Milky Way, and sunrise shots of some of the arches along Lavender Canyon. Unfortunately, I found out after talking to a ranger that the Lavender Canyon road is so rough that sometime lifted Jeep Rubicons can’t manage it. My Subaru Forester is surprisingly good at rough dirt roads and managed some amazing things during my trip but this was way too much for it. As it turns out, it would have been a wasted trip anyway; my clear sky luck ran out and clouds would have prevented many of the shots I wanted to get. On my way out of the park I was struck by one particular rock formation and pulled over just to get a shot of it. The butte stood out on its own and there was something stoic about it that I wanted to capture. Originally the contrast between the orange rock and deep blue sky was part of what drew me to the scene, but converting to black and white made it even more evocative. Canyon De Chelly (pronounced de-shay) has been continuously occupied for over 4000 years. Now the Navajo live there and, with the National Park Service, manage the area. The 400 foot deep canyon stretches for miles. The shot below was taken from the Antelope House Overlook. Ansel Adams famously worked in Canyon De Chelly in the 1940’s and that inspired me to try some black and white shots. This is another place where a photographer could easily spend a week getting great shots. Stay tuned for Part Two coming soon. All images and videos Copyrighted 2018 Carey Sherrill All rights reserved.